The American Association of State Highway and Transportation Officials just released a new, fourth edition of the S2.1-2018 Steel Bridge Fabrication Guide Specification – an AASHTO-National Steel Bridge Alliance Collaboration publication – that gathers together in one place recent updates to the group’s Load Resistance and Factor Design or LRFD bridge/construction specifications. AASHTO noted that it works with the NSBA work together to develop specifications, codes, standards, and policies in an effort to unify the existing diverse requirements governing steel bridge construction and all of the AASHTO-NSBA Steel Bridge Collaboration publications are available for download, free of charge, from the AASHTO Store, the group noted. This revision provides clarifications and removes conflicts between the latest S2.1 and the latest AASHTO specifications while continuing to provide an AASHTO-NSBA consensus on “best practices” for fabrication specifications. 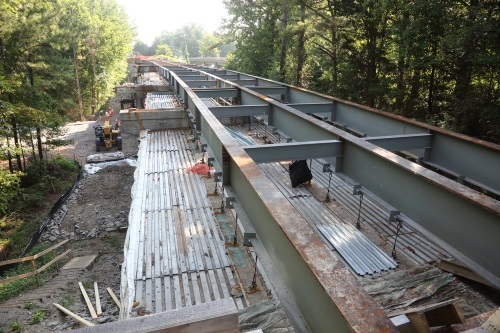 The group emphasized that this update is intended to be used in tandem with AASHTO-NSBA Steel Bridge Collaboration S4.1, Steel Bridge Fabrication QC/QA Guide Specification.